Country Cards by Rose: OSAT Blog Hop: Lay It Out! OSAT Blog Hop: Lay It Out! 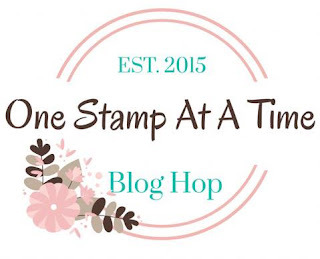 Welcome to another One Stamp At A Time Blog Hop! 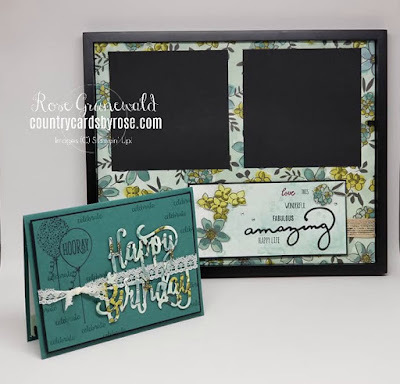 Today our theme is "Lay It Out", and we're making a scrapbook page and coordinating card. Now, I have to be honest...I'm not much of a scrabooker - well, I used to be. That's how I got into paper crafting. 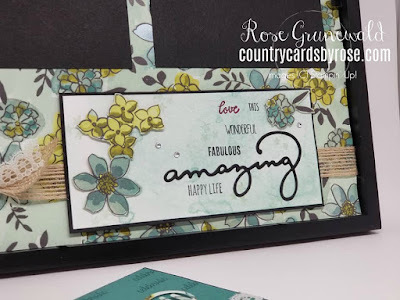 I found card-making since then, and I haven't really looked back. 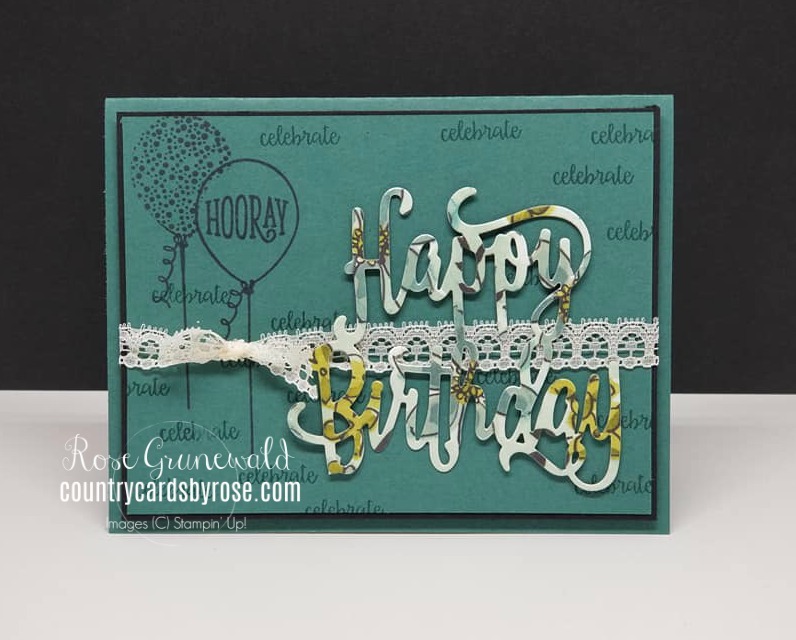 This challenge ironically came about at the same time I was thinking about making a gift for my Grandma's birthday. 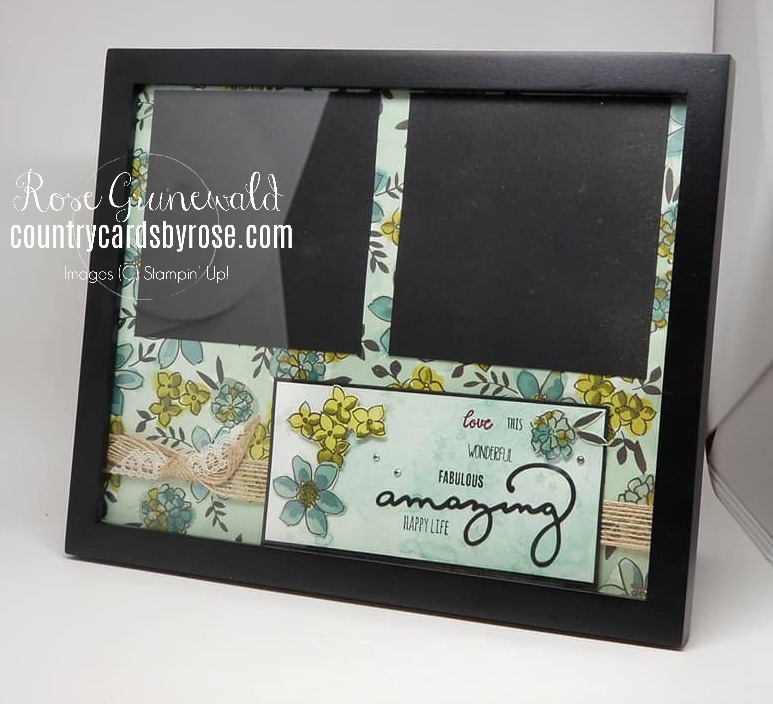 I thought what better idea than to make a photo frame and dress it up with a little stamping! How do you like that saying under the photos? 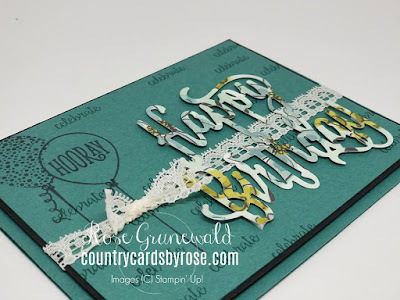 I combined a bunch of words from the Tabs for Everything stamp set and the Celebrate You thinlets dies. Don't you love that saying? I was so thrilled to find this combination! My Grandma is turning 85 this month, and we're getting the family together to celebrate next weekend. She just moved back home to Wisconsin from Florida, and I am so happy that we'll all be able to celebrate with her. She's a Great-Great Grandma to a lot of grandkids, so that is really special! I made a coordinating card out of the Happy Birthday Thinlets die, and I did some stamping with the Happy Birthday Gorgeous stamp set. I couldn't have picked a better stamp set title for my Grandma than that one. 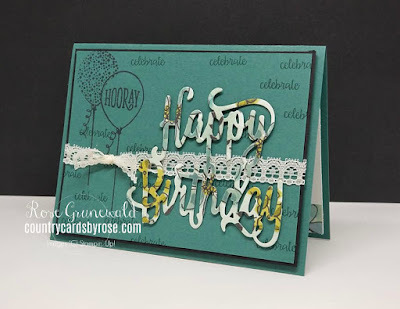 I used bold Tranquil Tide for the card base because my Grandma is such a fun, bold person! I decided not to include the photos in the frame just in case Grandma vists my blog - I want her to be surprised! Don't forget about homemade paper craft gifts - they are such a fun way to use your Stampin' Up! products. 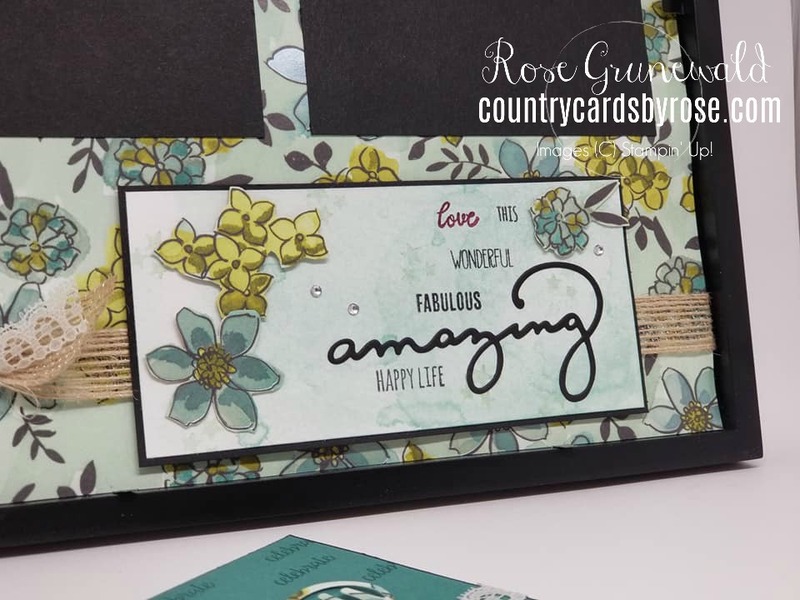 Make sure you check out the inspiration from my demonstrator friends - I know you'll LOVE all the ideas we have for you!